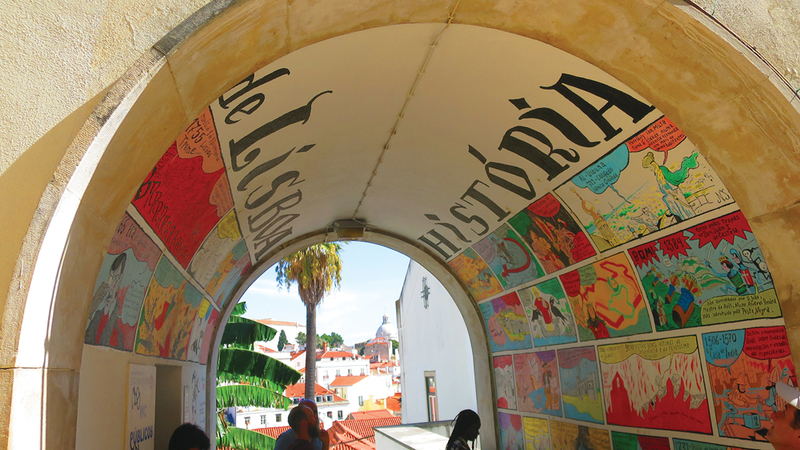 Portugal’s colorful capital offers a brilliant array of craft, ancient and modern. Published on Monday, April 30, 2018. This article appears in the April/May 2018 issue of American Craft Magazine. The wildly eclectic Pena Palace, a short drive from Lisbon, is a UNESCO World Heritage site. Though craft enthusiasts often flock to Portugal’s many and varied regional destinations, the capital, Lisbon, has traditional craft spilling out of almost every nook and cranny, from the intricate tile murals covering buildings to the hand-tatted lace adorning shop windows. 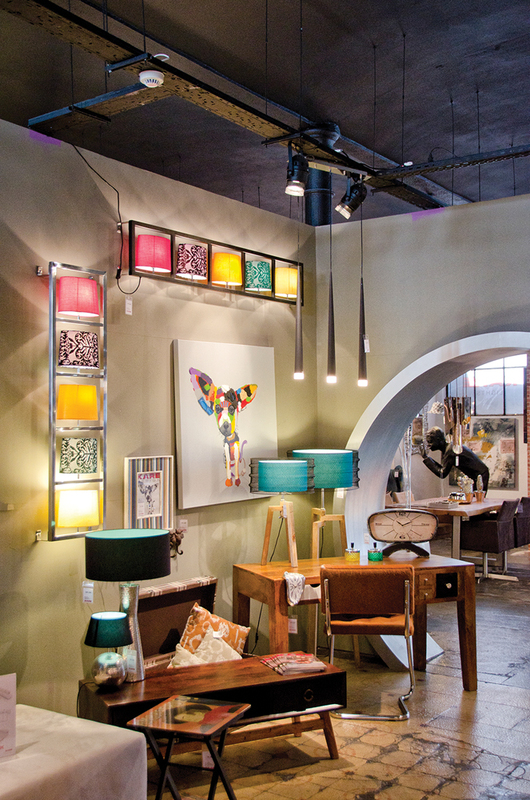 Alongside this rich artisan heritage, the city also has a thriving contemporary craft and design community. A densely populated metropolis (a half-million people live in the city proper), Lisbon is divided into distinct neighborhoods, each with its own appeal. Alfama, one of the oldest and most charming districts, is a maze of winding medieval streets leading to some of the city’s most important landmarks, including the Praça do Comercio (Market Square) and the National Pantheon; it’s also where you are most likely to hear authentic fado, the melancholy music born in the city. The Baixa, Rossio, and Belém districts also contain dozens of museums and historic sites, while the lively Bairro Alto, a hilly neighborhood with a bohemian vibe, is full of cafés and bars. There are also a number of trendy revitalized areas to explore, such as Principe Real, a chic shopping destination popular with locals, and LXFactory, a complex of industrial buildings that have been converted into some of the coolest artisan workshops, galleries, boutiques, co-working spaces, and coffee shops in the city. In these locales and beyond, modern life and cutting-edge art exist alongside centuries-old tradition, thanks in large part to the craftspeople who are adapting those forms for today’s market. Stunning murals made of tiles (azulejos) can be found all over Lisbon – on palaces, apartments, cathedrals, shops, and train stations. Introduced to the Iberian Peninsula by the Moors in the 13th century, the first azulejos had blue and white geometric designs. Several centuries later, the Portuguese introduced other colors and began using the tiles as a canvas for historical scenes and landscapes. As the city was rebuilt after a devastating earthquake in 1755, residents turned to tile as a low-cost construction material, giving rise to the art form’s ubiquitous presence. By the early 20th century, however, azulejos had fallen out of favor. A revival of the art form didn’t come until the 1950s, when the tiles – still an affordable material – were used to decorate subway stations. In Lisbon, contemporary art and design flourish in boutiques, galleries, and museums. 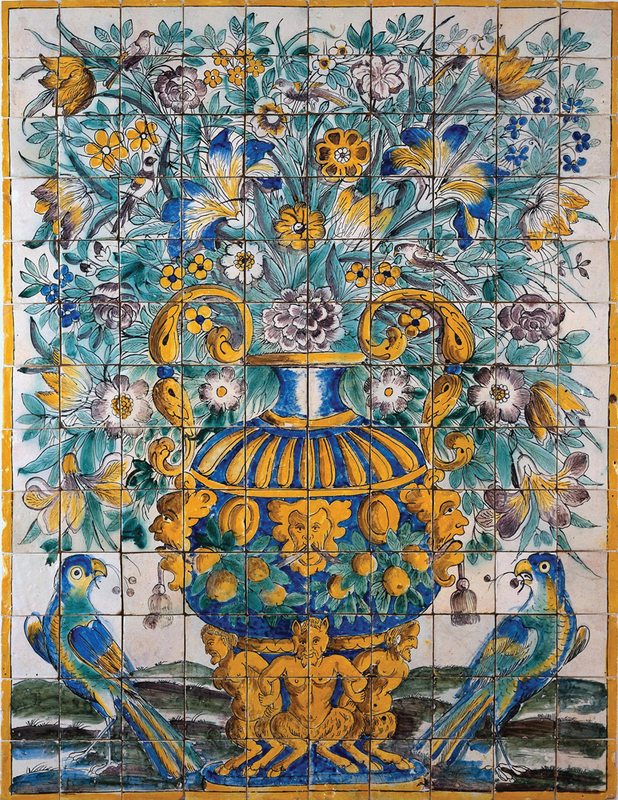 In Lisbon, elaborate tile murals date back centuries. A Vida Portuguesa, with several locations in Lisbon, carries all things Portuguese, from fine craft to heritage chocolate. For a crash course in city history, visitors can check out this mural by illustrator Nuno Saraiva, near the Portas do Sol observation deck. Isilda Parente has added her own twist to a beloved embroidery tradition. Style is the order of the day at LXFactory. About 10 years ago, LXFactory turned an old industrial complex into a lively center of shops, galleries, and studios for makers and other creatives. 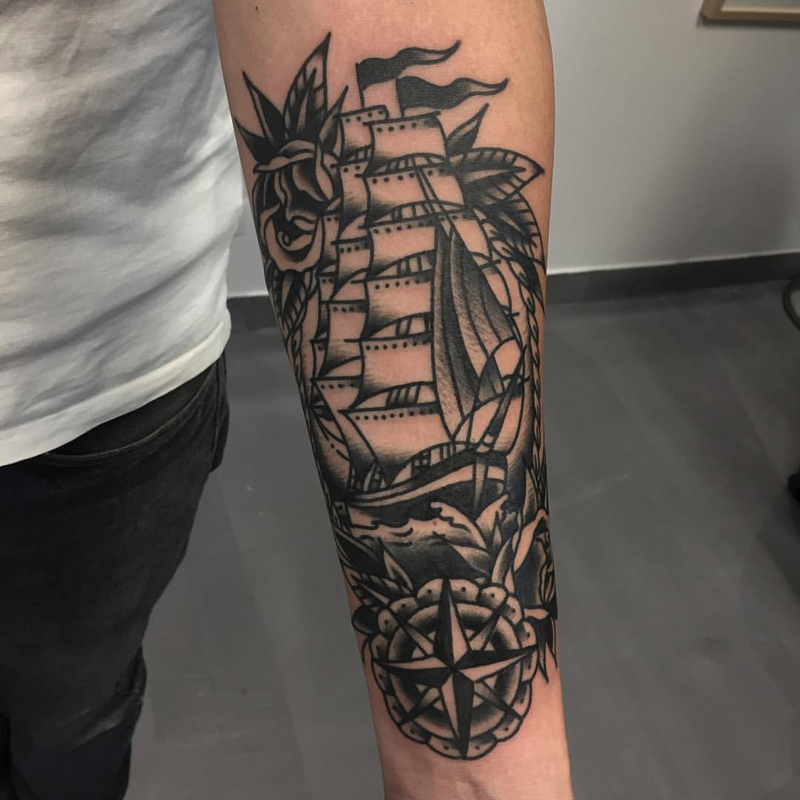 This tattoo celebrating Portugal’s sea-going past is by Nicole Lourinho. 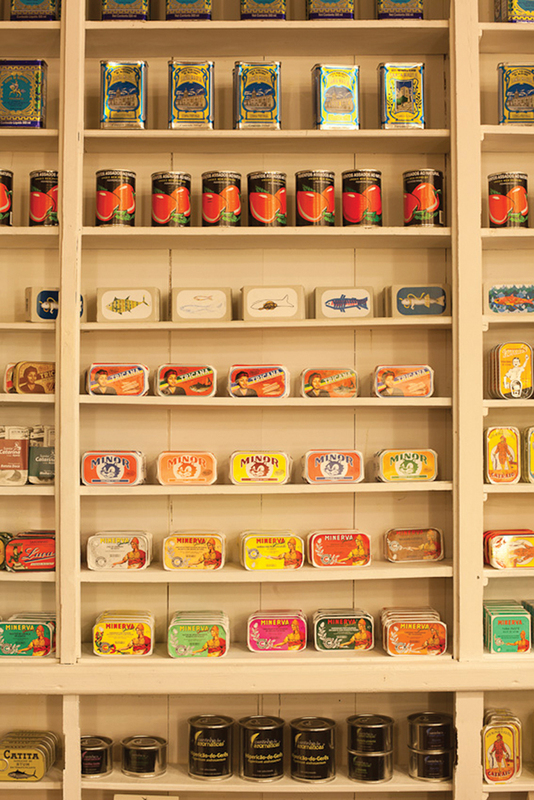 Even the tins containing sardines, a favorite local snack, can become objects of design and whimsy. 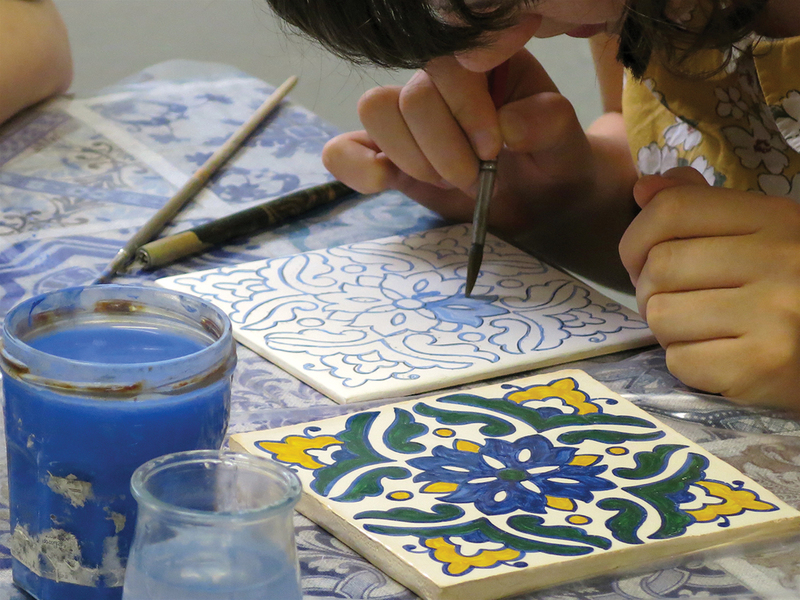 Visitors try their hand at painting tiles in the Portuguese tradition during one of Marie Caroline Vidal’s azulejo workshops. 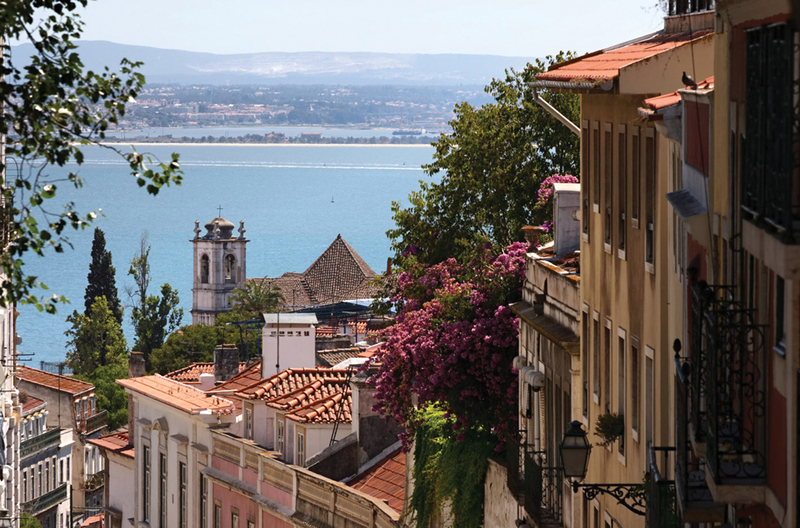 Lisbon is built on hills, offering spectacular views of the Tagus River and tiled roofs. An 18th-century panorama of Lisbon, a grand example of the tile murals the Portuguese took to new heights, is on view at the National Azulejo Museum. Much of Portuguese embroidery has been influenced by the textile arts of western India, where the country founded a colony in the 16th century. Like the Portuguese form that followed, traditional Indian embroidery often tells a story, depicting heroic, religious, and historic scenes or featuring local animals and plants. The city of Viana do Castelo, about 200 miles north of Lisbon, is home to its own embroidery style, which rose to prominence in the early 20th century. While the style originally embellished outfits for special occasions, it began to appear on everyday items such as tablecloths and pillowcases during the First World War. 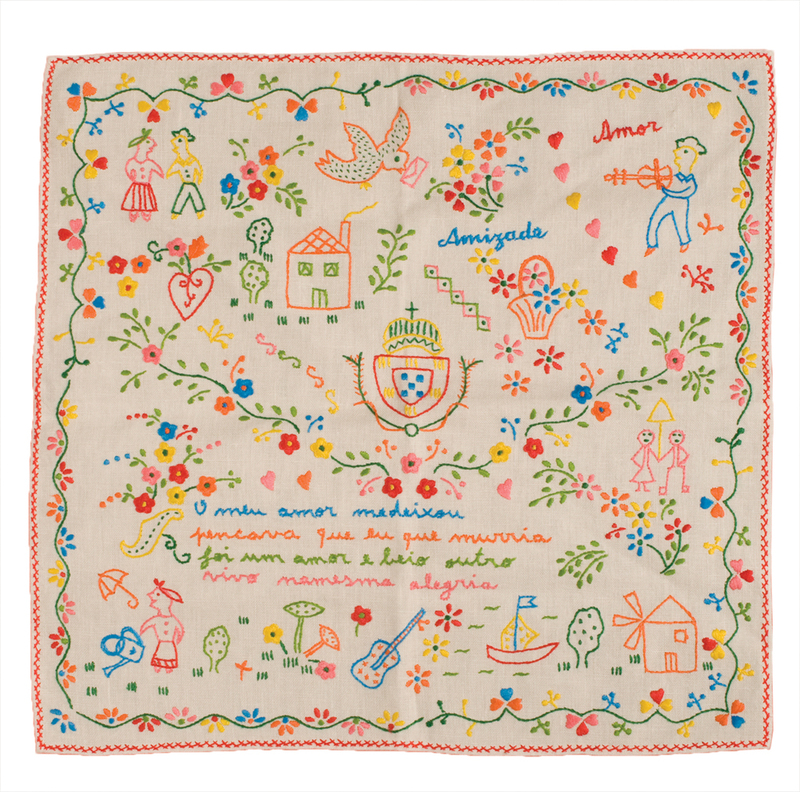 Isilda Parente, one of Portugal’s best-known embroidery artists, first fell in love with the motifs (flowers, foliage, hearts) as a child. Since 1985, the septuagenarian has dedicated her life to the medium. She has never been content to merely follow the patterns and colors passed down over generations, however; she also wanted to update the art form. 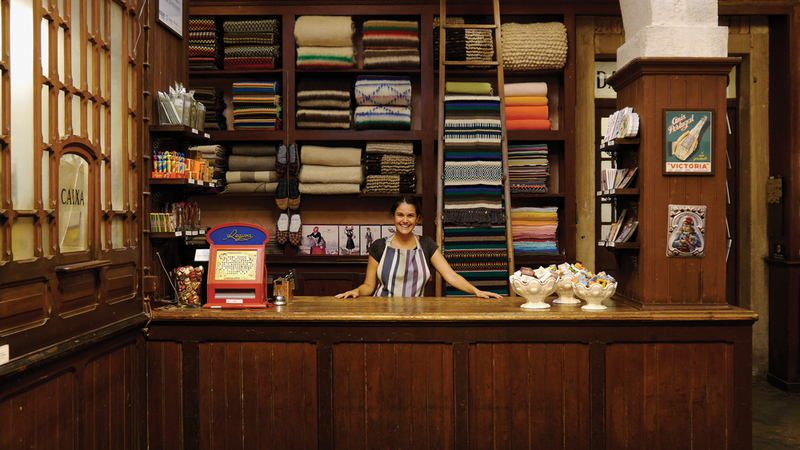 “Innovating is a way to capture new audiences for a craft that is very traditional,” she says. She has received numerous awards, including the National Handicraft Prize, and she has embroidered for fashion designers such as Nuno Gama. Today, Parente’s workshop and showroom, where a small team of artisans hand-embroider works based on her designs, are managed by her children and daughter-in-law. Though she has stepped back from day-to-day operations, Parente remains the soul of the business. Her work is available in shops in Lisbon. For centuries, Portugal’s explorers embraced the art of tattooing, and some of the tattoos – and skin – have been preserved in the collection of Portugal’s National Institute of Legal Medicine and Forensic Sciences. Sailors, bohemians, fado singers, ladies of the night, and others who lived outside traditional society flaunted their tattoos as a way to rebel against the establishment. Now that tattoos have become more mainstream, however, many latter-day fans use iconic imagery to celebrate Portuguese culture. In Lisbon, some shops specialize in this work, offering tattoos of mariner motifs, birds, crowns, and coats of arms. One of the top studios, Queen of Hearts Tattoos, was established 15 years ago by Catarina Albuquerque and Américo Silva. Popular designs are azulejo patterns, sardine tins (the fish are very popular in Portugal), and even the classic custard tart, pasteis de nata. Nicole Lourinho, who is also a painter and photographer, learned the craft during an apprenticeship at Queen of Hearts five years ago. She’s intrigued by the way tattoos can preserve something for eternity – or at least as long as the bearer is alive. “Memories are lost when there is nothing that connects you to them,” she says. Inking cultural symbols into the skin may not be for everyone, but for Lourinho and artists like her, it is the ultimate manifestation of their creativity and love for Portugal. For a fascinating look at the history of azulejos, visit the National Tile Museum (Museu do Azulejo). Located in a former convent dating from 1509, the museum’s collection of Portuguese tiles spans centuries. Temporary exhibitions, events, and an on-site library fill out the programming. Learn more at Sant’Anna Factory (Fábrica Sant’Anna). Guided tours offer visitors a behind-the-scenes peek, where they can witness each step of the tile-making process before painting their own in a hands-on workshop. For a more personalized experience, sign up for one of Marie Caroline Vidal’s workshops. The tilemaker teaches small groups about the history of tile painting in her house a few minutes north of the National Tile Museum. Participants then paint two tiles as she walks them through the process. Learn about Portuguese textiles, ceramics, metalsmithing, and more at the Portuguese Decorative Arts Museum (Museu de Artes Decorativas Portuguesas) in the 17th-century Azurara Palace. Exhibitions showcase azulejos’ history and evolving styles throughout the years. The museum also offers classes such as tile painting, paper marbling, and gilding. From A Vida Portuguesa, walk 10 minutes east to the Oficina Irmãos Marques workshop and boutique in the Bairro Alto neighborhood, where you’ll be treated to an astonishing collection of pieces by Gezo Marques. The prolific artist upcycles furniture, chandeliers, paintings, and whimsical objets d’art, making for a treasure trove of eclectic finds. If you’re looking for a permanent souvenir of Lisbon’s culture, visit Queen of Hearts tattoo shop, one block over. Or, if you’d prefer not to put needle to skin, head northeast to Embaixada. A 19th-century Moorish revival-style palace is now occupied by a variety of shops and galleries specializing in work by local artisans and designers. 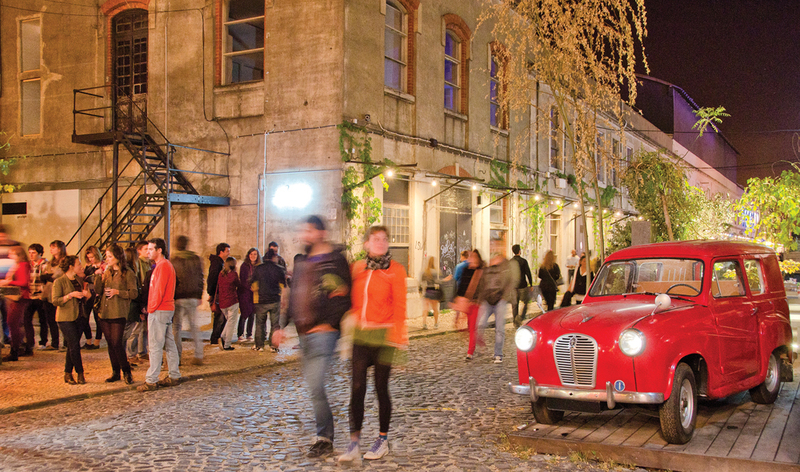 Catch a tram and head east to LXFactory, the heart of Lisbon’s contemporary creative community. (“LX” is a common abbreviation for Lisbon.) The complex opened in the 19th century as a textile factory, then housed a variety of industrial companies before being abandoned in the ’80s. 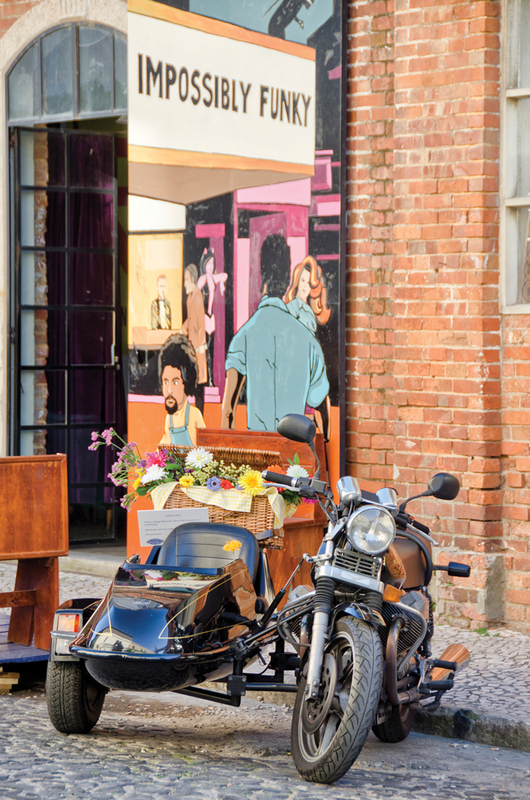 In 2008, it was reinvented as a hip creative enclave that’s home to galleries and jewelry, clothing, furniture, and photography studios, as well as another outpost of the Queen of Hearts tattoo shop.